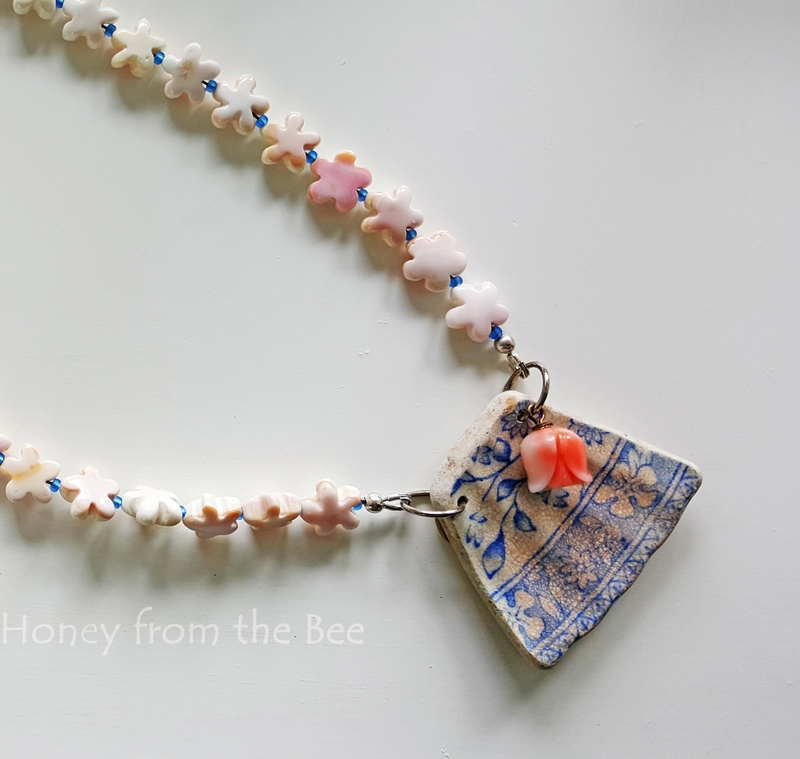 This one of a kind summery necklace features Sea Pottery. What's Sea Pottery? Well, it's just like seaglass. It's dishes that have ended up in the ocean either via a shipwreck or rubbish. Years of pounding surf buff out the rough edges and if we're lucky part of the original pattern still exists. I love how this particular piece looks like folds in fabric. This particular pottery shard is likely a 19th century blue and white transferware pattern. 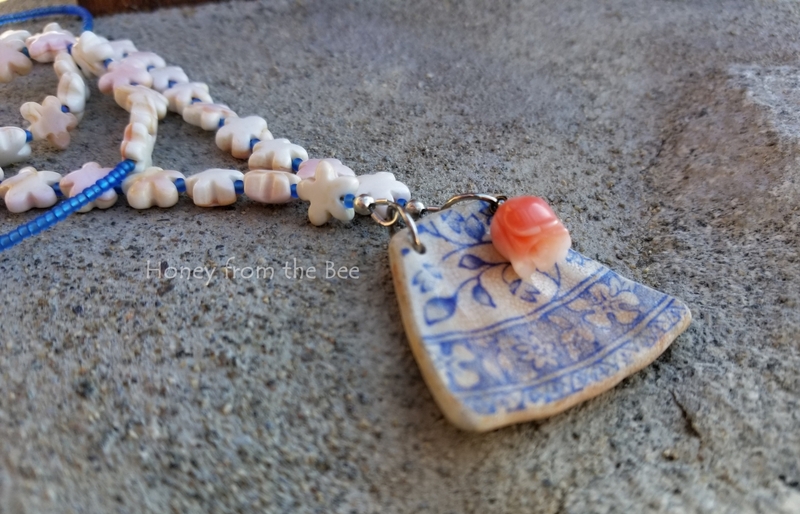 I had these sweet flower shaped shell beads that seemed perfect for the pattern and a simply beautiful rosebud carved out of angel skin coral. Some pretty blue seed beads that are frosted and silver lined finish this comfortable necklace for a day out with the girls or a stroll along the beach with your partner. About 29" around for the necklace. Put over your head style - no clasp! 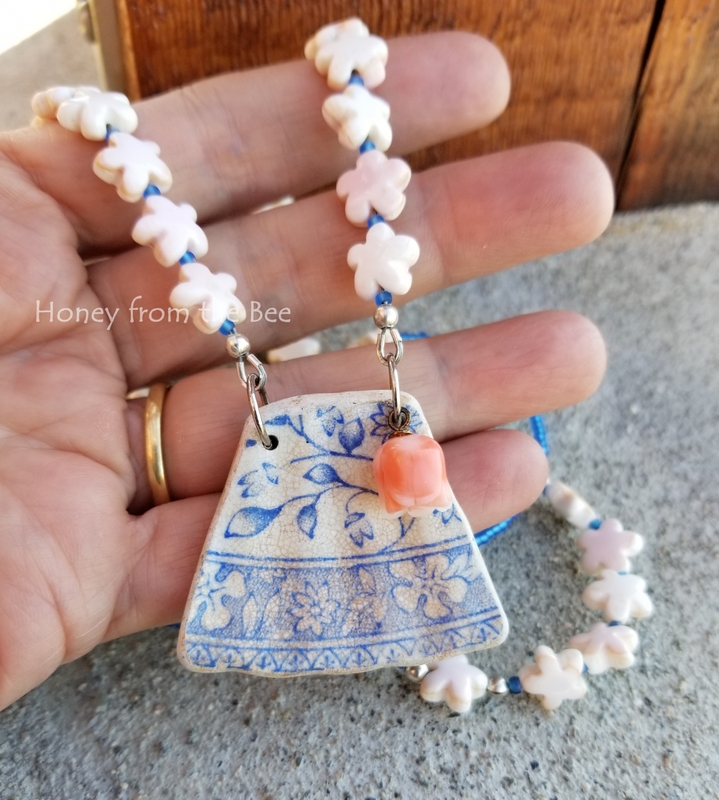 Know someone that collects blue and white pottery? PERFECT gift!